Lynn is a content creator with Summit CPA Group, where her primary focus is researching blog content and managing the blogs on the company website. 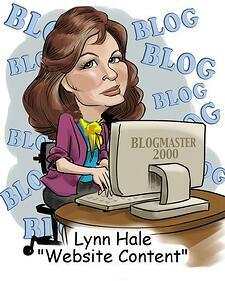 Lynn has assisted Summit CPA Group with publishing its blog posts since 2011. Lynn is a Certified Medical Assistant (CMA) and graduated with honors from Ivy Tech with an Associateâ€™s degree in Medical Assistant as well as certificates in Home Health Care and Medical Transcription. Lynn is a Certified Medical Assistant (CMA) and graduated with honors from Ivy Tech with an Associateâ€™s degree in Medical Assistant as well as certificates in Home Health Care and Medical Transcription. Lynn is married to her husband Bill with whom she has two children and six grandchildren. They are the primary caregivers for four of their beautiful grandchildren. In their spare time they enjoy spending time with their family, working outside and catching up on their favorite television shows. Lynn also enjoys working on arts and crafts.